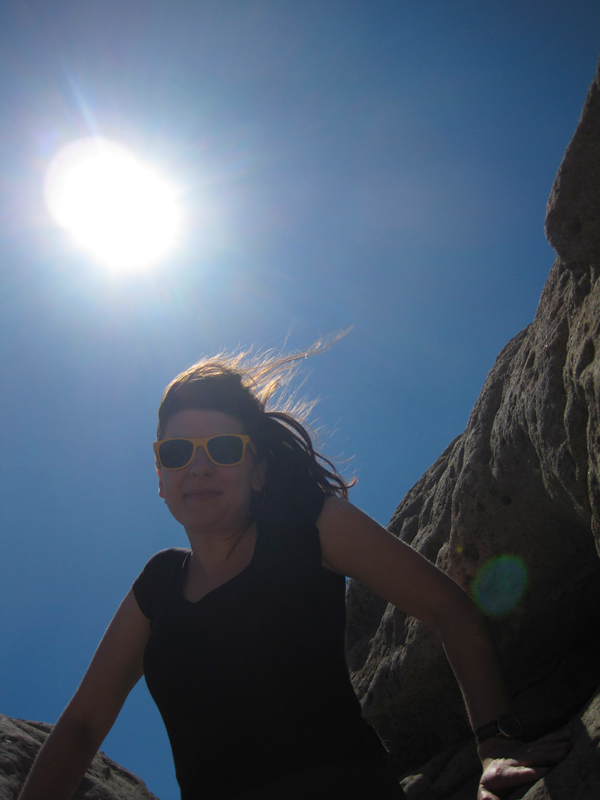 Last week we headed to Santa Fe, NM and it was glorious, but just for a week. The beautiful, foreign terrain was amazing for hikes, but every now and then I’d feel panic rising in my chest with a fear that was the opposite of claustrophobia. In the middle of the dusty landscape, all I could think of was that if gravity suddenly reversed itself I’d have nothing to hold onto. After a week of hiking, drinking margaritas and eating green chiles, we’re glad to be back home. We spent our first day back in our yard, hands in the earth, gardening and tending to everything that grew while we were away. We drank an abundance of water and replenished our bodies with meals harvested straight from the garden. I don’t always give Indiana credit for being a great place to live, but I love it for the fact that things grow with ease here and plants and water are bountiful. For these reasons I’ll forgive Indiana for not having the views we have enjoyed for the last week. I’m just happy to be back now so I can begin sharing smaller, every day adventures with you again. 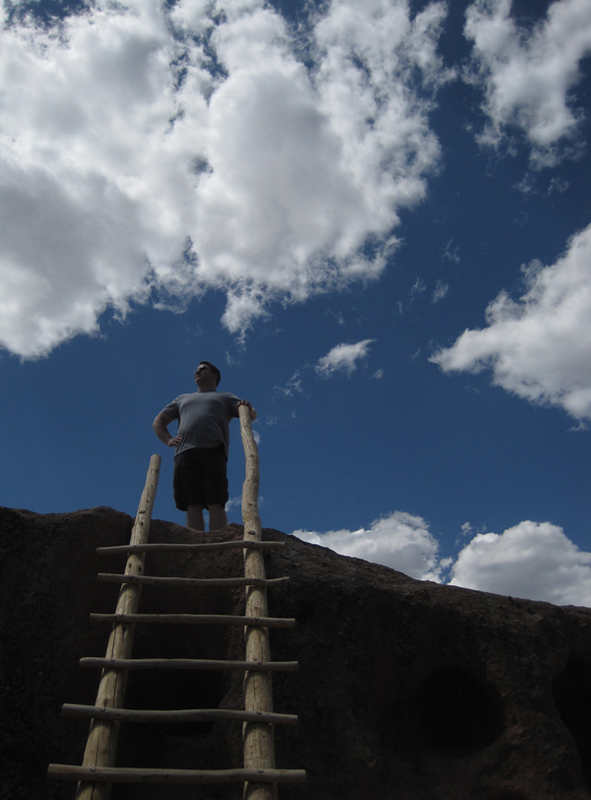 For those interested in Santa Fe and the surrounding areas, below is a list of things to do. Santa Fe, though lovely, is mostly galleries. If you are staying for any length of time we recommend lots of day trips. These are the places we visited outside of Santa Fe. 1. Taos. Just another gallery town, it seemed. There was little to nothing to do here and I would have much prefered to visit a real ghost town. Lots of people really enjoy it here though. 3. 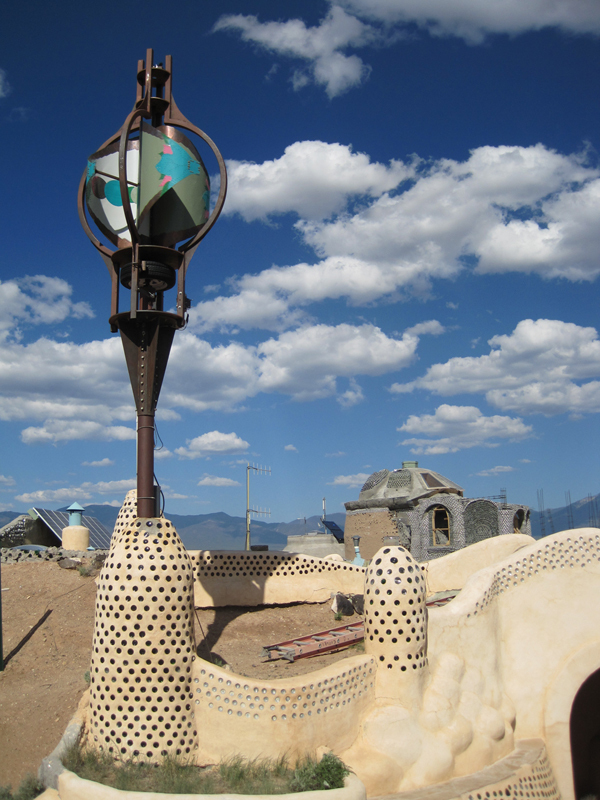 Earthship Biotecture World Headquarters. I’d totally live in an earthship some day. They are amazing and a really neat way to be off the grid. 4. 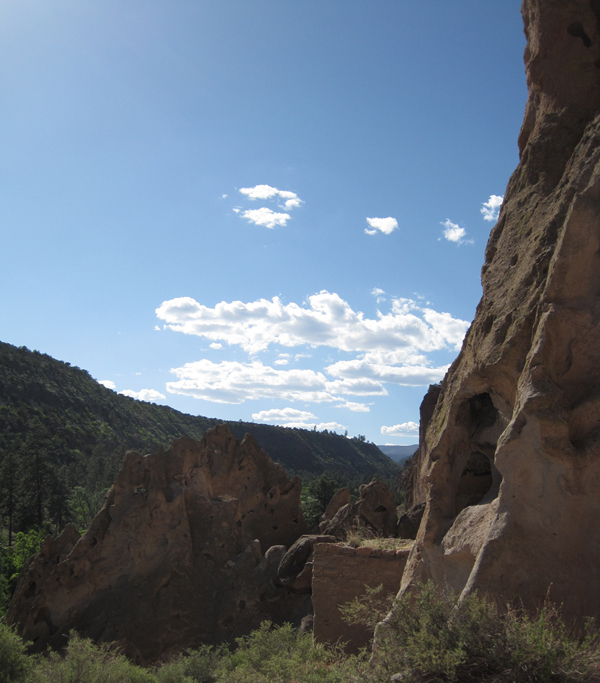 Bandelier National Monument and Tsankawi, the detached portion of the park. 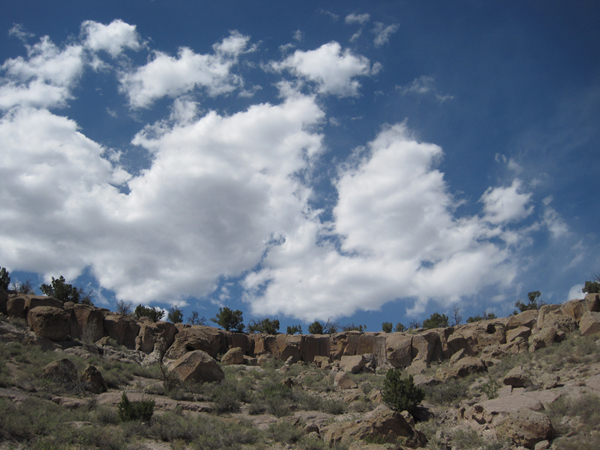 If you only have time for a little hiking we recommend only visiting Tsankawi. The views are amazing and the hiking is a lot more rewarding. This hike, by far, was the best part of our entire trip. 5. The National Museum of Nuclear Science and History. Such a cool place. I’m amazed by the history of this state. The state capitol is more than 400 years old and tales of the wild west are everywhere, and at the same time the history of nuclear science and the Manhattan Project is just as prevalent. Our docent at the museum was a 90-year-old gentleman, Yale PhD and one of the last surviving scientists who worked on the Manhattan Project. Pretty cool way to spend the day, learning from the mouth of one who has experienced what it’s like to feel the distant impact of a nuclear test blast against his face. For more vacation images head over to Flickr. I am so glad you got to visit the Bradbury Museum. Now you can understand how much Pat B. and I enjoyed our visit. So much history there– and the research at Los Alamos continues to be very important. We are so pleased we got to go to so many museums. Learning the rich history, particularly the rich research and scientific history, was really one of our favorite parts of the trip. I am so glad you were able to take some time away and refresh yourself. I know our recent trip to California was a welcome break for us. I too miss some of the beautiful scenery of our visit and I really miss being able to just relax on the beach and watch and listen to the ocean. However, I do appreciate the beautiful Indiana that is coming to life right now. Time away was the perfect thing. Now we’re ready for Regan to start his brand new job tomorrow and I’m feeling much more creative 🙂 So glad you got some time away too, and that it treated you just right.